Calling all Beantown startup followers: the Massachusetts healthtech scene is expanding! 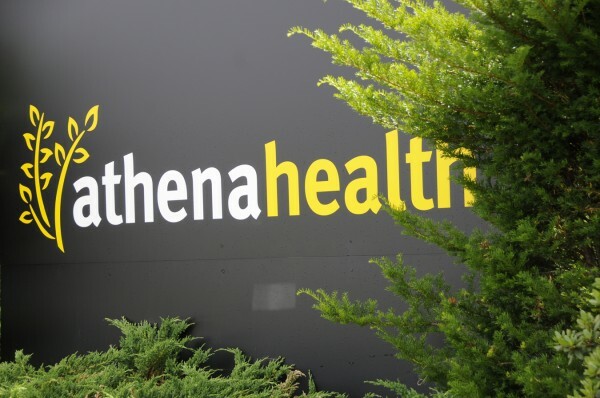 Watertown-based Athenahealth has announced that its new accelerator for health IT startups is now open for business. The “More Disruption Please” (MDP) Accelerator went into beta in June when it began working with a single startup, Smart Scheduling, but is now inviting health IT startups to apply for participation. Based on a mission to “drive connectivity and innovation across the continuum of care,” MDP is the third phase of a 2010 effort to connect with and promote startups that seek to address areas of concern in the health care delivery system beyond the electronic health record (EHR). The perks of joining MDP, one might ask? Athenahealth will provide venture capital to companies through the accelerator. Aside from funding, portfolio companies get free office space at Athenahealth’s super chic Watertown headquarters and ongoing mentorship from Athenahealth experts. Athenahealth says the accelerator will accept applicants on a rolling basis, with an anticipated residency period of roughly 8 to 12 months. More information about MDP can be found on Athenahealth’s “More Disruption Please” page. DoseSpot is a Surescripts™ certified e-Prescribing platform specifically designed to integrate with electronic health record, electronic dental record, practice management and telehealth software. DoseSpot has provided simple, affordable and integratable e-Prescribing solutions to healthcare IT companies since 2009. To request a demo of DoseSpot’s e-Prescribing integration platforms, please visit http://www.DoseSpot.com/. In 2013 digital health companies raised $2 billion in venture funding…first six months of 2014 digital health companies have already raised $2.3 billion. So where’s all the money going? Surescripts recently published their annual National Progress Report highlighting advances in e-Prescribing throughout the United States. Without a doubt e-Prescribing is ‘here to stay’ and DoseSpot continues to be at the forefront of e-Prescribing integration services. #1. More than 1.04 Billion e-Prescriptions were sent in 2013. #2. 699 Million medication histories were delivered which often assist in limiting drug-drug interaction errors. #3. Office-based physician adoption continues to grow and currently stands at 73%. #4. 95% of pharmacies have adopted e-Prescribing. Looking for tips to navigate MU stage 2 requirements? View one tip on drug-drug and drug-allergy interaction checks below and visit http://www.dosespot.com/meaningful-use-tips to download all 5 certification tips! Objective: In addition to providing drug-drug and drug-allergy interaction checks, this criteria requires EHRs to adjust the level of interactions based on user roles (ie: administrator). Tip: Provide an easy-to-use user interface so a user can quickly adjust the interactions. DoseSpot allows the user to turn on and off the drug-drug and drug-allergy interactions as well adjust the severity level display between minor, moderate and major interactions. Click here for more blog posts at ePrescribing.org on Meaningful Use. DoseSpot, an industry leader in electronic prescribing (e-Prescribing) integration platforms for medical and dental software, today unveiled new groundbreaking technology to route e-Prescriptions telepathically directly to a pharmacist, sending prescriptions in a matter of milliseconds. The ability for prescribers, including doctors and dentists as well as telehealth providers to send prescriptions telepathically is the first of its kind. DoseSpot continues to make enhancements to the telepathic communications network and is currently beta testing sending telepathic prescriptions directly to patients. Learn more about DoseSpot today at www.DoseSpot.com. That is no joke! DoseSpot is a Surescripts™ certified e-Prescribing platform specifically designed to integrate with electronic health record, practice management, and telehealth software. DoseSpot has provided affordable and integratable e-Prescribing solutions to more than 45 medical & dental software companies since 2009. For more information, please visit http://www.DoseSpot.com.